DisOrient Asian and Pacific Islander American Film Festival of Oregon is a social justice film festival dedicated to deconstructing the media stereotypes of Asian and Pacific Islander Americans as “Orientals.” We believe in the power of film-as-art to educate, heal and improve the lives of people by giving voice to their experiences. 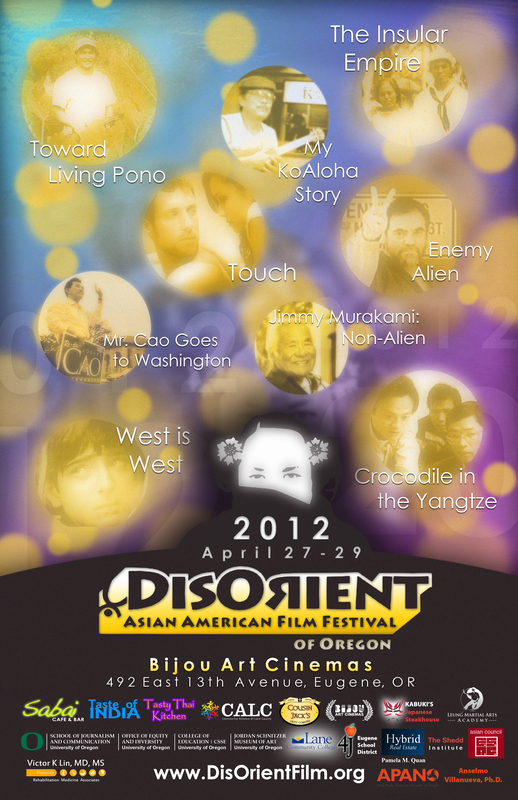 Started in 2006 by artists, educators, and activists, DisOrient is a grassroots and volunteer-run film festival committed to presenting honest portrayals of the diversity of the Asian and Pacific Islander American experience. When selecting new and exciting films for our festival, we use the W.E.B. DuBois standard of “for us, by us, or about us” that are recent and undistributed works. DisOrient is a program of the Chinese American Benevolent Association (CABA), a 501(c)(3) non-profit cultural arts organization that also runs a youth group (Chinese Lion Dance Troupe), which is comprised of middle school, high school, and college age students. CABA also offers college scholarships for local Asian American youth and aspiring filmmakers.